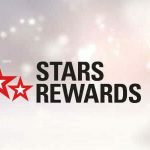 Pokerstars new and improved (well, this is kind of debatable) loyalty program, Stars Rewards, was unleashed to the rest of the world on July 6th, 2017. Representatives from Pokerstars confirmed that they’ve completed their full-scale rollout of their new loyalty rewards program to the rest of the world on July 6th, 2017. The program did a soft opening of sorts to its players in Portugal, France and Spain on July 4th, 2017 – all countries in which the company has individual gaming licenses in to comply with each country’s specific tax codes and iGaming laws. the upcoming program is focused around rewarding players more frequently within a single playing session. 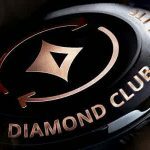 In other words, grinders who rely on large cashback (ie rakeback) rewards from the original rewards program will unfortunately be getting the shaft yet again in favor of Pokerstars wanting to even out the playing field by looking to compensate recreational players for their time at the tables. Recreational players still make up a large portion of their player base, and while they undoubtedly appreciate professional players, the company is in the business of making money and pleasing their shareholders first and foremost. Who are the winners and losers with this new rewards program? 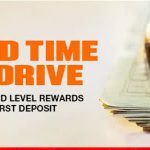 Winners: The easiest takeaway from this program is that recreational players will feel a little more at ease knowing they’re going to be rewarded for doing simple things – like re-depositing over and over again at Pokerstars. “Recs” have a tendency to deposit multiple times in order to recoup the losses they incur at the tables, which is something the new Stars Rewards program aims to help offset, along with adding in other factors like frequency of play and the types of stakes that are played. Losers: High stakes and other professional online poker players are once again getting a raw deal in the end with the new program that has been put into place. It’s bad enough that Pokerstars has altered their program several times in years past, but with this new rollout its estimated that they’ve now cut rewards by anywhere from 50% to 80% in total! Professional players will still put in time at the tables, but the days of high rakeback and “bum-hunting” are slowly and surely being phased out by the company. Will the program only provide rewards for poker play? No. 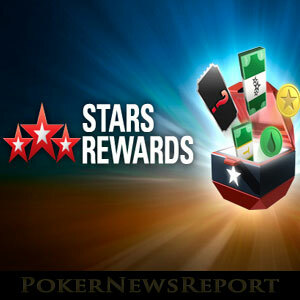 The new Stars Rewards program links together all facets of gaming that Pokerstars currently offers, including poker, casino and sports. They will not be forcing player to choose one or the other when it comes to earning rewards. 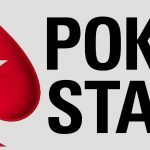 The one thing Pokerstars has always appreciated it loyalty to its brand, and this is why there are literally tens of thousands of players on the site at almost all times of the day and night. As mentioned previously on a report we brought to you several weeks ago, Pokerstars is delivering new rewards via randomized treasure chests that you can unlock when you hit certain points targets. The new point system will give players 100 points for every dollar in rake paid at cash tables and through tournament/sit and go fees. Players will have certain goal targets based on their frequency of depositing, stakes played and how often customers play on the site. These “chests” will contain a multitude of random prizes, with each chest having a max value assigned to it. The prizes will include things like tourney tickets, cash, other rewards, free bets and more and will be completely randomized once you’ve earned enough points to release a new chest tier. The new rewards levels have had a series of mixed reviews from players all around the globe, especially on popular poker forum 2+2. It is unclear just how much it will affect the poker ecosystem at Stars right now, but over the years the management here have proven their strategies to be effective, as there has been huge uptick in customers playing and a high frequency of new and recurring deposits as a result.